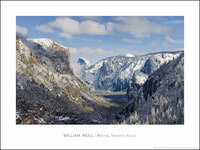 "This series of Yosemite posters was created by master landscape photographer William Neill, who has lived in and photographed Yosemite National Park since 1977. 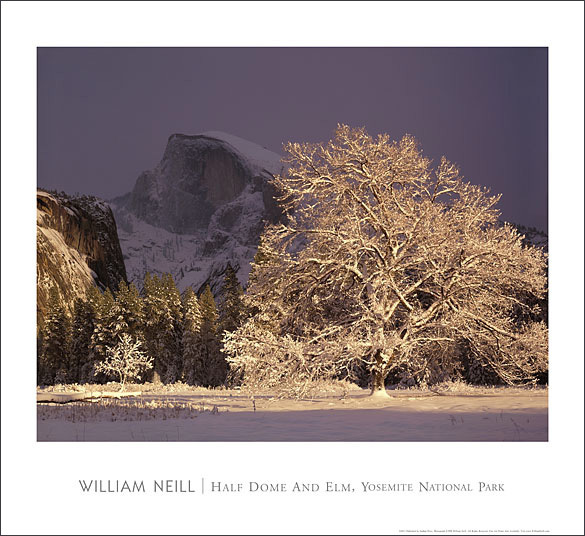 Featuring a collection of his most popular Yosemite photographs, these deluxe posters are printed on high quality inkjet paper. Although not printed on archival photographic inkjet paper, the paper used is much more archival than lithographic posters printed on paper. 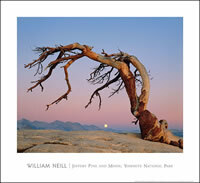 The posters are printed on the same high resolution Canon printers that are used for fine art prints. 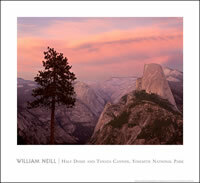 Neill's posters incorporate the latest inkjet technology using Canon's 12-color imagePROGRAF iPF6100 printer. Canon's inks that show exceptional color and resolution. The result is that these deluxe posters offer a combination of color quality and accuracy, print longevity, resolution and cost that is unmatched by ordinary posters."